Sometimes we don't have to say anything. The words below say it all. "I am writing to say a huge thank you for your generous support with purchasing a Reck Motomed bike for my son Edward. 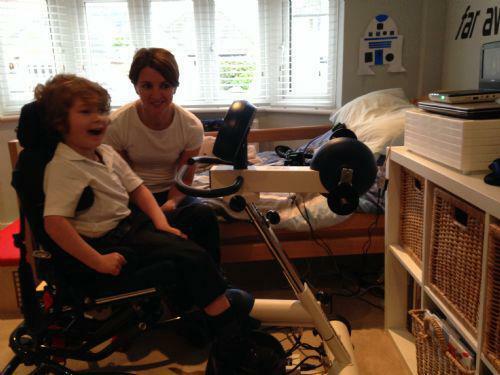 It is a brilliant piece of equipment and is making a huge difference with his progress. 18 months ago Edward suffered a severe traumatic brain injury when he was hit by a car travelling at 30 mph. The original prognosis was extremely bleak but Edward is a determined little boy and combined with lots of love, support and therapy we are hopeful he will continue to improve and get stronger. Equipment like the bike you have bought him are so important to his recovery. I can’t thank you enough."